The “check engine light” is designed to let the driver know when the onboard computer has detected a failure. The modern vehicle has dozens of sensors and actuators that control the engines performance as well as other vehicle functions. Simply reading the codes and throwing parts at the vehicle is often the most expensive method of resolving the problem. 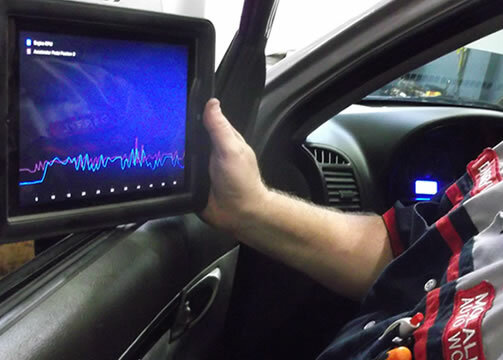 Molalla Auto Works has multiple scanners and other dedicated tools for running diagnostics, reviewing flight-recording (freeze frame) data, and live data feeds. Int eh hands of our ASE certified professionals we can identify and fix problems quickly an accurately.